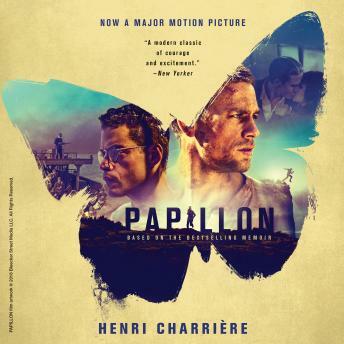 Listen to "Papillon" on your iOS and Android device. Henri Charrière, called 'Papillon,' for the butterfly tattoo on his chest, was convicted in Paris in 1931 of a murder he did not commit. Sentenced to life imprisonment in the penal colony of French Guiana, he became obsessed with one goal: escape. After planning and executing a series of treacherous yet failed attempts over many years, he was eventually sent to the notorious prison, Devil's Island, a place from which no one had ever escaped . . . until Papillon. His flight to freedom remains one of the most incredible feats of human cunning, will, and endurance ever undertaken. Papillon. I read the book a few years ago. I listened to it again. Well worth the time. It is a true story. What an adventure that this book takes you on! Even though it's already almost 18 hours long, I wanted more.